On the Picardy coastline, Mers-les-Bains is located between Picardy and Normandy, in a beautiful landscape of white cliffs. On the seafront an esplanade runs along the pebble and sand beach. The seaside area is a classified site that has retained the charm of the Belle Epoque with its pinnacles, balconies and colourful bow windows. In Mers-les-Bains enjoy a seaview holiday rental. 3 rooms Apartment on the 2nd floor. Distance to the sea: 10 m. Nice view of the sea and the beach. 2 rooms apartment 46sq. m on the 2nd floor of a new residence (lift). 2 balconies with outdoor furniture, Facing the beach (10m). 1 Bedroom(s), 1 double bed(s). Final cleaning : 30 €. Studio Apartment 1 room 25m2. Close to town centre. terrace. Pets allowed. Located in Mers-les-Bains, La Goelette is a self-catering beachfront apartment, which offers a bow window with sea views. Set in renovated villa dating from 1900, it is 15 m from the beach. Price from 475 € to 630 €. Located in Mers-les-Bains, this apartment features a balcony with sea views. The unit is 27 km from Dieppe. Price from 335 € to 406 €. 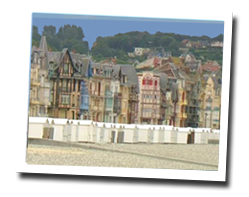 Set in Mers-les-Bains, Appartement la Sirène offers self-catering accommodation with free WiFi. The property boasts views of the sea is 27 km from Dieppe. Price from 2100 € to 5950 €. 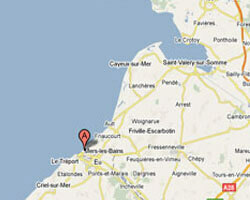 Located 27 km from Dieppe, Villa Mes Souvenirs offers pet-friendly accommodation in Mers-les-Bains. The unit is 22 km from Saint-Valery-sur-Somme. Price from 300 € to 556 €. Villa Thérèse is a self-catering apartment facing the sea in Mers-les-Bains. It is 10 m from the beach and offers free Wi-Fi internet access, a garden and a balcony. Price from 630 € to 750 €.